A quirky lesbian web series makes a splash on Pivot TV. Pivot TV is hosting a month of LGBTQ themed TV shows and movies in honor of Pride month. One of the features of this month’s event is the web series, The Better Half, created by producers Leyla Perez and her girlfriend Christine Ng. 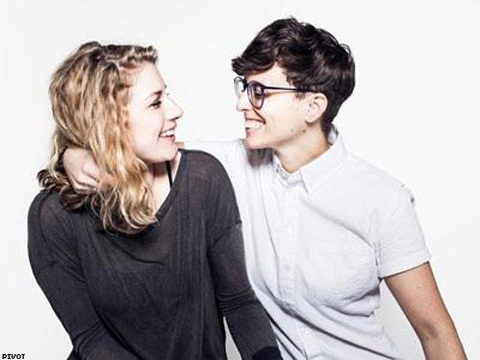 The show, starring real life couple Lindsay Hicks, and Amy Jackson Lewis, is a comedic show attempting to disprove stereotypes about lesbian relationships. The show follows a couple that has been together for a while and has hit a rut. The couple attempts going out, camping and having double dates in the first season. The web series originally aired online in 2013 and premiered on TV June 4 and will air Wednesdays 6 p.m. PST/9 p.m. EST.